Capcom has just revealed new DLC for Street Fighter 5. This time we get a look at the yearly Capcom Pro Tour content that fans can purchase to support the tournament series. The Capcom Pro Tour 2019 DLC adds new costumes for Kage and Sagat, the yet to be revealed Champion's Choice costume, and Ring of Justice stage. This latest batch of DLC will be released tomorrow, February 26th. Each year has added its own unique stage in honor of the Capcom Pro Tour: Ring of Destiny in 2016, Ring of Pride in 2017, and Ring of Power in 2018. The Ring of Justice comes with a pretty heavy Metro City theme complete with familiar characters from the Final Fight series in the background. Kage and Sagat will receive fancy new digs, and the Champion's Choice costume will come from the mind of Capcom Cup 2018 winner, RB|Gachikun. We can expect to see this particular outfit revealed and released at a later time. Gachikun plays Rashid in Street Fighter 5, but at this time we don't know if that's the character he will choose for the Champion's Choice costume. 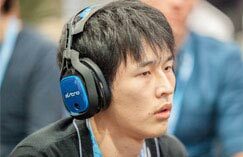 "Since 2016, a portion of the CPT DLC sales has contributed towards the prize pool for Capcom Cup, the final competition on the Capcom Pro Tour," Capcom's latest blog writes. "For the last two years, fan contributions have made a significant difference in prizing. 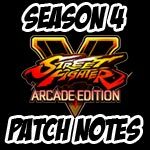 Proceeds from a portion of the CPT 2019 DLC sales will once again go towards Capcom Cup 2019’s prize pool." The three Capcom Pro Tour 2019 DLC costumes and the Ring of Justice stage can be purchased separately or in a bundle. If you opt to pick up the Capcom Pro Tour Bundle, you will also receive CPT 2019 titles, player profile cards, new colors for all playable characters in previous and current seasons, and 10,000 in-game Fight Money.